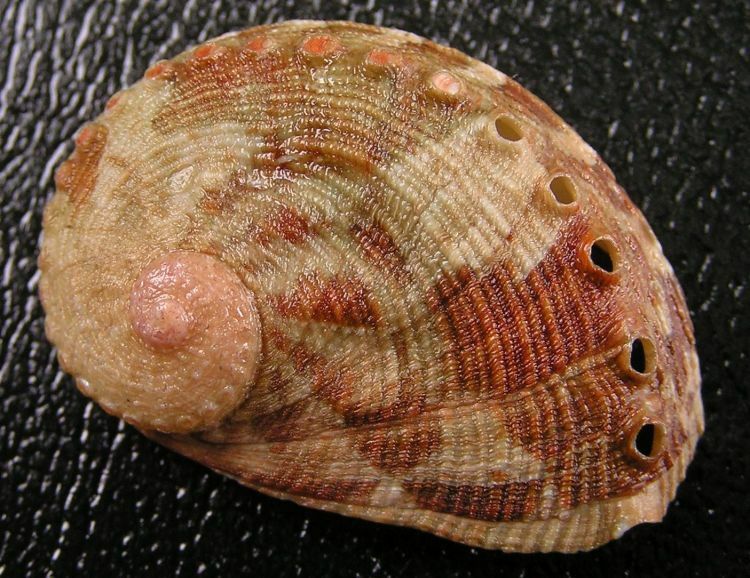 Haliotis coccoradiata is a species of snail in the family abalones. It is found in marine habitat. Definition: An aquatic biome that comprises systems of open-ocean and unprotected coastal habitats, characterized by exposure to wave action, tidal fluctuation, and ocean currents as well as systems that largely resemble these. Water in the marine biome is generally within the salinity range of seawater: 30 to 38 ppt. Definition: A measurement of the longest dimension of a body, typically between two distinct ends of the body. Definition: Diameter of the egg life stage of this organism. An egg is an organic vessel in which an embryo first begins to develop. In most birds, reptiles, insects, molluscs, fish, and monotremes, it is the zygote, resulting from fertilization of the ovum, which is expelled from the body and permitted to develop outside the body until the developing embryo can survive on its own.